Econometrics By Simulation: Oh wait! 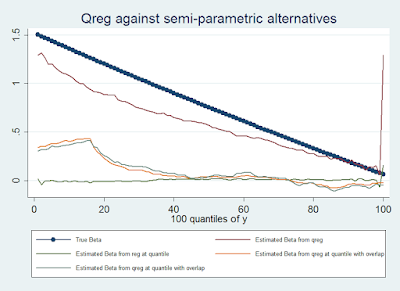 Quantile regression wins! * different quantiles compared with other alternatives. 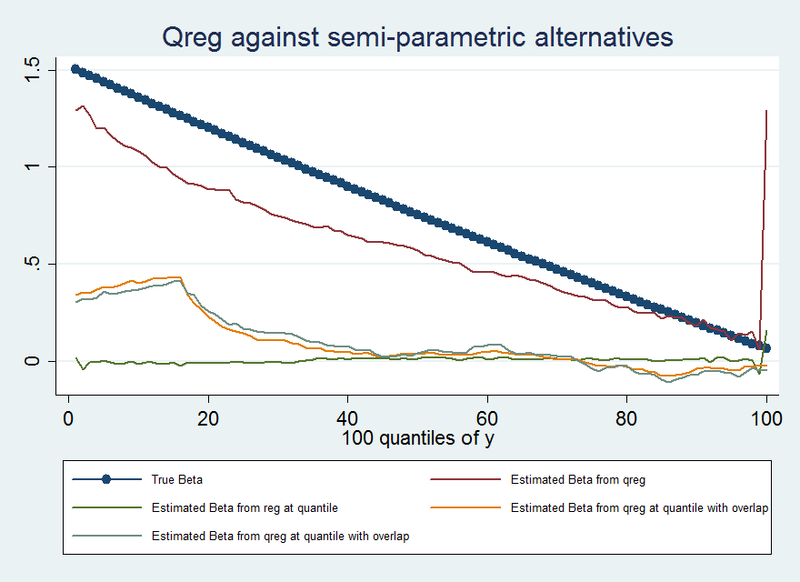 label var beta_hat "Estimated Beta from qreg"
label var beta_hat1 "Estimated Beta from reg at quantile"
label var beta_hat2 "Estimated Beta from reg at quantile with overlap"
label var beta_hat3 "Estimated Beta from qreg at quantile with overlap"
* because there is overlap in the sample. * Compared to other estimators, quantile regreesion is working awesome!